Keegan DA, Krey LC, Chang HC and Noyes N. (2007) Increased risk of pregnancy-induced hypertension between in young recipients of oocyte donation. Fertility and Sterility. Apr;87(4):776-81. Chang HC, Grifo J, McCaffrey, Krey LC, Noyes N. (2007 ASRM) Using certain commercially available glass-bottomed dish with paraffin oil impacts the embryonic development of oocytes. [Abstract] Fertility & Sterility. 2007; 88: S310 (#J0130599). Chang HC, Liu H, Zhang J, Grifo J, Krey LC. (2005) Developmental incompetency of denuded mouse oocytes undergoing maturation in vitro is ooplasmic in nature and is associated with aberrant Oct-4 expression. Human Reproduction, July, Vol. 20, No.7, 1958-1968. Liu H, Chang HC, Zhang J, Grifo J, Krey LC. Metaphase II nuclei generated by germinal vesicle transfer in mouse oocytes support embryonic development to term. Human Reproduction, 2003 Sep;18(9):1903-1907. Liu H, Krey LC, Zhang J, Chang HC, Grifo JA (2002) Germinal vesicle xeno-transfer between mouse and human oocytes: a model to study ooplasmic influences on meiotic division. Fertility and Sterility, September Vol.76 No. 3S O-202. Chang HC, Liu H, Grifo JA, Krey LC (2002) Influences of Gonadotroping stimulation on in vitro maturation and embryogenesis of denuded mouse oocytes. Fertility and Sterility, September Vol.76 No. 3S P-458. Noyes N, Chang HC, Labella P, McCaffrey C, Fino E, Grifo J. (2007 ASRM) Visualization of meiotic spindle predicts usefulness of female gamates in an oocyte cryopreservation program. Chang HC, Grifo J, McCaffrey, Krey LC, Noyes N. (2007 ASRM) Using certain commercially available glass-bottomed dish with paraffin oil impacts the embryonic development of oocytes. Chang HC, Grifo J, Ampeloquio E, LaBella P, Adler A and Krey LC. (2006 ASRM) Oct3A and Oct3B immunostaining patterns in human 3PN zygotes and aneuploid embryos diagnosed by preimplantation genetic diagnosis (PGD): embryonic chromosome status can be independent of developmental competence. Chang HC, Noyes N, Lee TL, Chin A, Krey LC and Grifo JA. (2006 ASRM) Independent and sequential expression of Oct3A and Oct3B transcription factors in human preimplantation embryos. Chang HC, Liu H, Noyes N, Meng L, Krey LC and Grifo J. (2006 ASRM) Down regulatory effects of retinoid signaling on murine and human embryonic Oct-4 gene expression. Liu H, Labella P, Chang HC, Noyes N, Krey LC and Grifo JA. 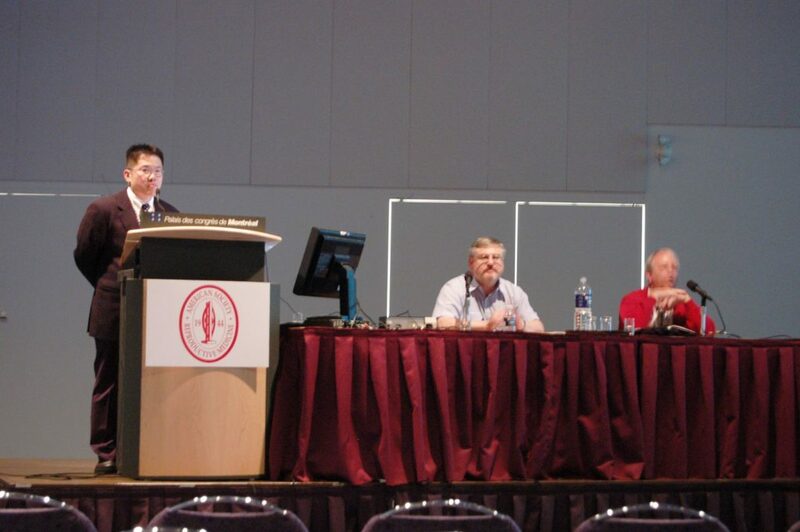 (2006 ASRM) Vitrification influence on the viability of human and mouse oocytes is temperature relevant. Grifo J, Labella P, Licciardi F, Chang HC, Liu H and Noyes N. (2006 ASRM) Clinical results of an oocyte cryopreservation program. Noyes N, Chang HC, Meng L, Liu H, Labella P, Grifo J (2006 ASRM) Presence of meiotic spindle predicts embryo competence following oocyte cryopreservation. Chang HC, Liu H, Zhang J, Grifo J, Krey LC. (2005 SRM) Vitrification of metaphase II oocytes impacts Oct-4 expression during subsequent preimplantation development. 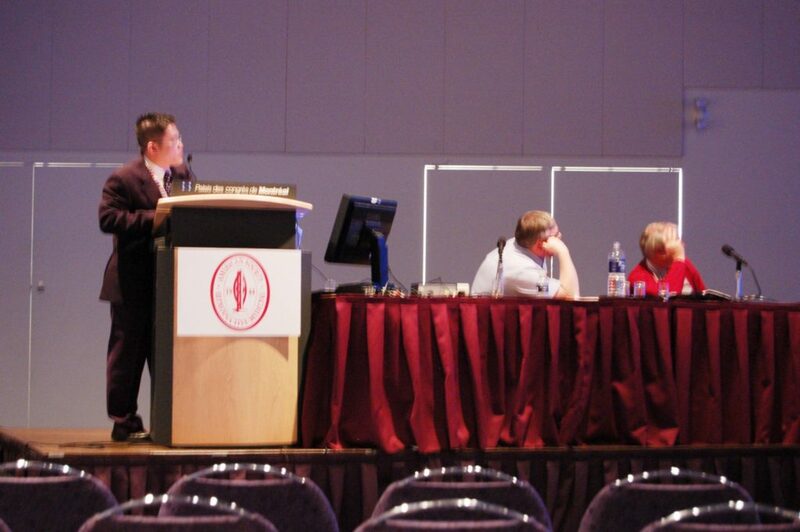 Oral presentation in Montreal, 61th Annual Meeting of the American Society for Reproductive Medicine. Chang HC, Liu H, Zhang J, Grifo J, Krey LC. (2004 ASRM) Ooplasmic factors are responsible for the developmental defects observed when immature cumulus-enclosed mouse oocytes are denuded prior to maturation. Oral presentation in Philadelphia, 60th Annual Meeting of the American Society for Reproductive Medicine. Chang HC, Liu H, Blaszczyk A, Grifo JA, Krey LC (2003 ASRM) Influences of mouse strain and culture media on in vitro maturation and embryogenesis of denuded mouse oocytes. Fertility and Sterility, Vol.80 3S S266. Chang HC, Liu H, Grifo J, Krey LC (2002 ASRM) Influences of gonadotropin stimulation on in vitro maturation and embryogenesis of denuded mouse oocytes. Poster presentation in Orlando, 59th Annual Meeting of the American Society for Reproductive Medicine. Liu H, Krey LC, Zhang J, Chang HC, Grifo JA (2002 ASRM) Germinal vesicle xeno-transfer between mouse and human oocytes: a model to study ooplasmic influences on meiotic division. Fertility and Sterility, September 2002 Vol.76 No. 3S O-202. 58th Annual Meeting of the American Society for Reproductive Medicine.